Sometimes during emergencies it's hard to find some of the items that are needed for fighting fires. 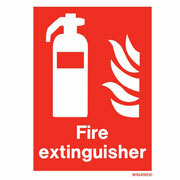 This sign tells people who are nearby that there is a fire extinguisher that's available for use. 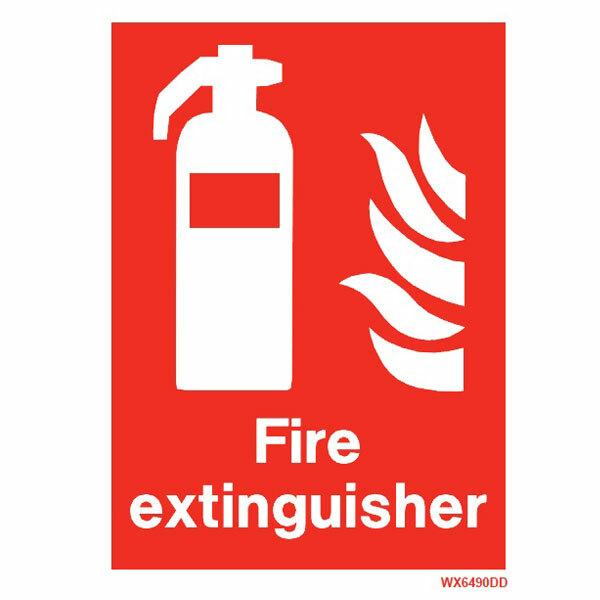 Seeing this sign time and again will ensure that everybody knows exactly where they can find a fire extinguisher when a fire occurs, it will be easy to find one. It has been made in the United Kingdom from top quality plastic and can be fitted on walls and other surfaces using sticky pads, double-sided tapes or any other simple adhesives.